Are the effects of aging making you tired, sluggish, and cranky? With bioidentical hormone replacement, it’s possible to turn back the clock and regain the lost vitality of your youth. At Health Solutions in Wellington, Florida, this natural type of hormone therapy helps men and women increase their energy, reduce uncomfortable symptoms, and restore peak levels of mental, emotional, and physical health. Bioidentical hormone replacement uses plant-based products which are biologically equivalent to the hormones that your body naturally produces. Numerous studies have shown that these types of hormones have fewer side effects than their synthetic counterparts. Compounding pharmacies make them into pellets for insertion, allowing absorption to occur slowly and last for months at a time. Do I need bioidentical hormone replacement? Almost everyone over the age of 40 experiences a decrease in hormone levels, which can lead to a compromised quality of life. For women, this is commonly felt with the onset of menopausal symptoms, like hot flashes, decreased libido, decreased energy, poor memory, insomnia, and mood swings. In men, there's often a drop in libido, low energy, weight gain, sleep disturbances, and alterations in memory and concentration. This collection of symptoms is frequently described as andropause and correlates with decreasing levels of testosterone. In both cases, restoration of hormone levels can help to achieve balance, increase vitality and lead to a healthier, more youthful you. 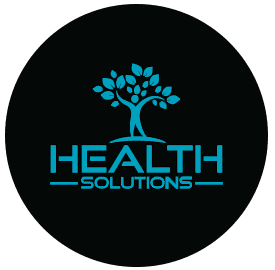 At Health Solutions, you meet for an initial consultation where your physician determines what treatment protocol is appropriate for your health and cosmetic goals. What are the benefits of bioidentical hormone replacement? Males and females experience the benefits of bioidentical hormone replacement differently. Bioidentical hormones don’t work overnight, but as your body gradually assimilates the hormones, you’ll start to notice improvements in your health, mood, and energy levels. You may need a series of treatments over the course of a few days or weeks, or your physician may recommend a long-term schedule of ongoing appointments to track your progress. Most patients don’t experience any side effects, but rather an improvement in their symptoms and a sense of vitality in their bodies. If you’re interested in learning more about the bioidentical hormone replacement therapies at Health Solutions, call the office today to schedule your first appointment.